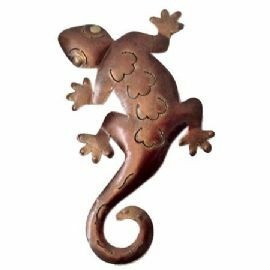 Small Metallic Gecko Wall Plaque for a fun, decorative feature in your home, garden or shed. 3 Colours available – Silver, Bronze or Green. Suitable for display either indoors and outdoors, made from thin metal.